Multi timeframe ability (lower and higher TF also). Linear interpolation and histogram mode options. Works on strategy tester in multi timeframe mode (at weekend without ticks also). 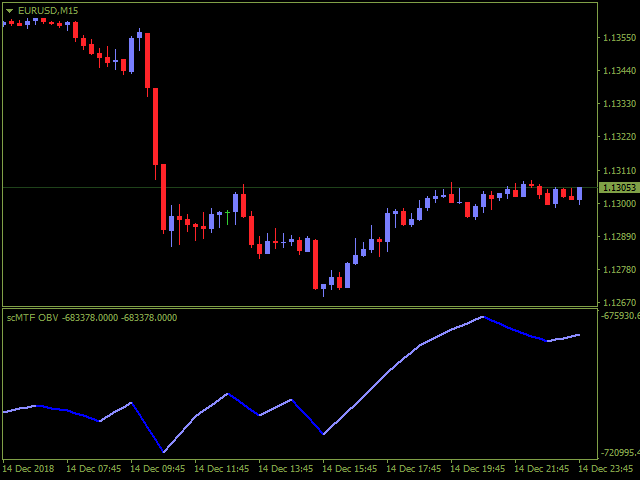 OBV Timeframe: You can set the lower/higher timeframes for OBV. 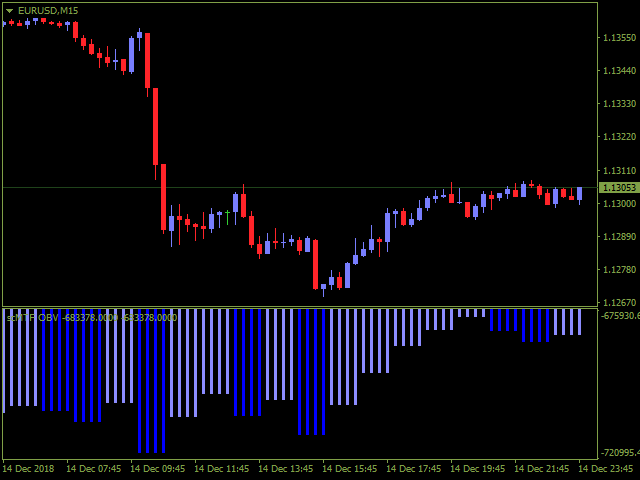 Bar Shift for Lower Timeframe: Shift left or right the lower timeframe's candle. OBV Period / Applied Price: OBV parameters. 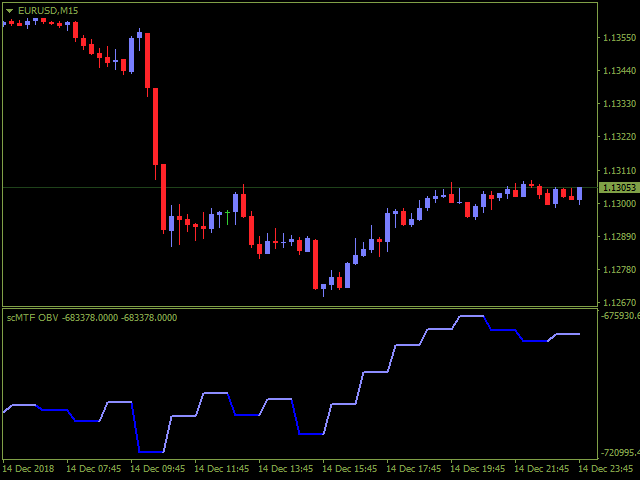 Stepless (Linear Interpolation): Turn on/off the linear interpolation (with multi timeframe mode on lower timeframe). Shows Zero Levels: Turn on/off the zero level showing. Enable or Disable All Alert Functions: Turn on/off all alert functions. OBV Line Crossed Zero Level After Bar Closed: Turn on/off this alert event. OBV Line is Crossing Zero Level Before Bar Close: Turn on/off this alert event. The Direction of OBV Line Changed After Bar Closed: Turn on/off this alert event. The Direction of OBV Line is Changing Before Bar Close: Turn on/off this alert event. A Short Message for You to Identity This Indicator Instance: Specify a short message for you to identity which indicator alerted. Alert with Email: Switchable alert mode. Alert with Push Notification: Switchable alert mode. Alert with Popup Window: Switchable alert mode. Alert with Sound: Switchable alert mode. Choose Sound File for Sound Alert: Select sound file for sound alert. Draw OBV Line in Histogram Mode: Draws OBV Line with line or histogram mode. Color 1 of OBV Line, Color 2 of OBV Line, Color 3 of OBV Line, Color 4 of OBV Line: Set colors. Width of OBV Line: Style setting. Style of OBV Line: Style setting.